We all know the horizontal dipole is one of the easiest antennas to build and is very common with new and old hams alike. The vertical dipole, also easy to build, is not real popular with hams. For me, space (I operate portable mostly) and how long it takes to install the antenna (which is most always in the dead of winter for me!) are big concerns. Also, how many supports you want to deal with (again, time vs. frostbite!) will set the design criteria. For horizontal use, you need two supports minimum for the ends, and if the center insulator droops too much, you'll need another there. With a vertical dipole only one support is required and you don't need all that much space either. I'm also intrigued with this antenna for other reasons, one being I like verticals anyway and the other is you don't need a ground radial system (this also got me thinking about bending the antenna and changing the orientation for a V Beam.....but that's another project for later on!). I often operate portable on the tundra and always had problems getting a good ground and tuning some bands was a nightmare because of it. Let's build a half wave or full wave vertical dipole with a novel matching method! 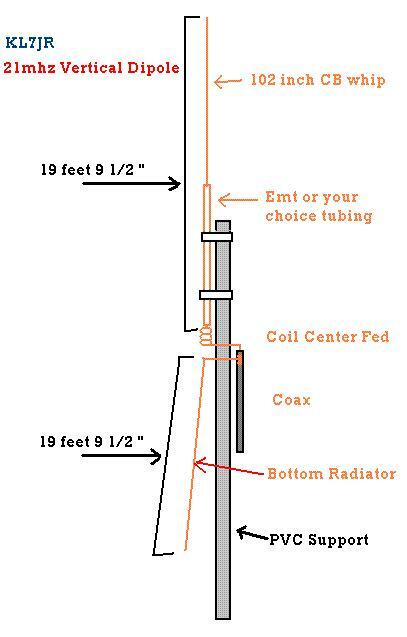 These plans will help you build a vertical dipole using a coil for better matching and use tubing or thin walled pipe for the upper leg and wire for the bottom leg just to lighten things up, (or tubing also for the bottom leg if you prefer). The project is based on ideas from an article by Lew McCoy W1ICP (SK), "Let's Talk Antennas- Part III". Do you want a half wave or full-wave? The dipole antenna, developed by Heinrich Rudolph Hertz around 1886, is an antenna with a center-fed driven element for transmitting or receiving radio frequency energy. These antennas are the simplest practical antennas from a theoretical point of view (1) See References below. The vertical dipole or its electromagnetic equivalent, the monopole, could be considered one of the best antennas for land mobile radio applications. It is omni directional (in azimuth) and, if it is a half-wavelength long, has a gain of 1.64 (or G=2.15 dBi) in the horizontal plane (2). (enter the horizontal V beam which we will discuss later!) 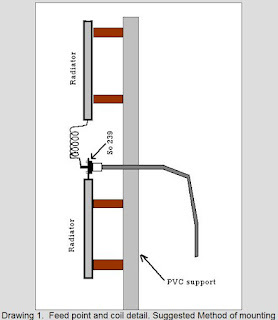 A vertical dipole antenna has constant gain in any horizontal direction, but zero gain in vertical direction (3). Adding a coil to get a better match and shorten the antenna! Let's use Lew's idea from his article (4), and add a coil in line with one half of the antenna to bring the impedance closer to 50 ohms which actually shortens the antenna about 10%!!! (same coil design is used for 20 thru 10 meters for the half wave antenna. Some experimentation may have to be done with the coil length for a full wave design). The coil is installed in series with the center conductor of the feed line and the uppermost vertical radiator. Attach one side of the coil to the upper radiator and the other side of the coil to the center conductor of the feed coax. The shield side of the coax connects to the lower radiator. The upper and lower radiators are insulated from each other. Adding a 1:1 air choke at the feed point to reduce feedline radiation is your choice. There are many methods of mounting the vertical dipole and you will have to use one that fits your needs, your ingenuity, materials on hand etc. Shown above in the drawing is just one of the methods. The bottom "radiator" can be tubing or wire, your choice. The important thing is that the vertical dipole is not mounted on or near a metal mast support! The feed line should come off the antenna perpendicular (90 degrees) to it if possible but this will depend on many variables with your installation. I learned this coil addition trick from an article in CQ Magazine by Lew McCoy W1ICP (4) (SK). We can also use stiff wire for the last 2 feet or so of the antenna (as described in article) to cut down on weight. This approach just may be what the doctor ordered for 1/2 WL construction! Several years a go there were a dozen or so of these rigid horizontal dipoles hanging off towers in the Anchorage area (yes, I miss Alaska! ), and good reports were common. 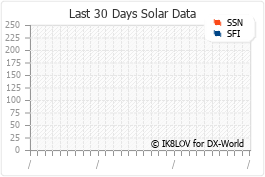 The rigid dipoles were economical and easy to build and they worked DX! NL7VJ (now KL5T) and NL7TB (now KL7JR) made hundreds of DX contacts with this antenna design from Alaska and while operating portable from the Yukon Territory from 1991-1995. Quite to our amazement we found we could get multi-band use to boot (tuner required)! You can use wire for the bottom leg of the vertical dipole to make it even lighter! 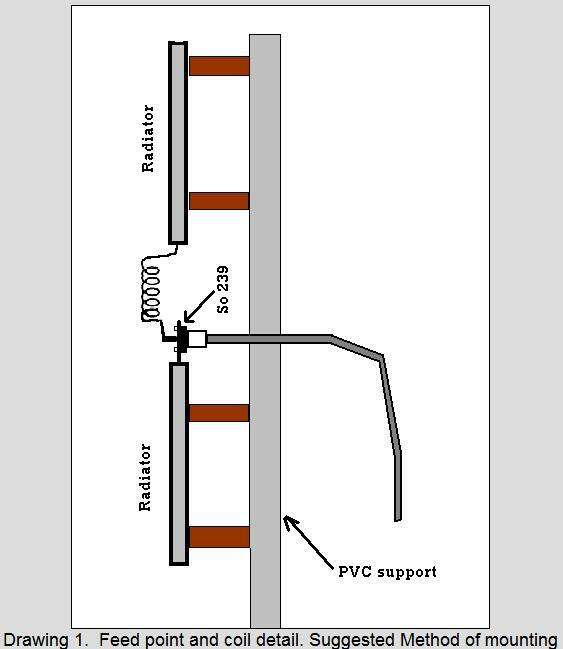 With that said, I'll design a FULL WAVE vertical dipole seen in the drawing below for 21.300mhz, which should provide 10-20 meter coverage using a tuner. From the chart below, 21 mhz is the center band. The 10% length reduction is for use with a coil. As stated earlier, the coil dimensions may have to be adjusted accordingly for full wave operation and lowest swr and matching. The use of a good antenna analyzer will be a big bonus if you have one! Of course you can pick your favorite band and see how far you can take it. The bottom leg should be at least 6 feet from ground for safety reasons if left hanging in free air. Multiband operation should be possible with the use of a tuner. If you just want to build a standard regular length dipole, then leave out the coil and use the lengths in black above. One other option...use it as a "horizontal-vertical"! There's always next summer! Experiment and have fun!